Lovely Sorcha is the seventh child and only daughter of Lord Colum of Sevenwaters. Bereft of a mother, she is comforted by her six brothers who love and protect her. Sorcha is the light in their lives, they are determined that she know only contentment. 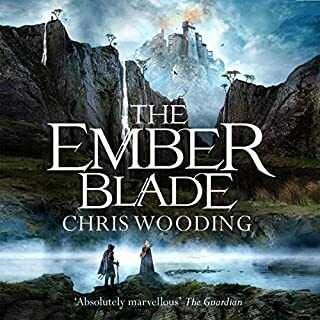 But Sorcha's joy is shattered when her father is bewitched by his new wife, an evil enchantress who binds her brothers with a terrible spell, a spell which only Sorcha can lift-by staying silent. To everyone who knows them, best friends Miel and Sam are as strange as they are inseparable. Roses grow out of Miel's wrist, and rumors say that she spilled out of a water tower when she was five. Sam is known for the moons he paints and hangs in the trees and for how little anyone knows about his life before he and his mother moved to town. But as odd as everyone considers Miel and Sam, even they stay away from the Bonner girls, four beautiful sisters rumored to be witches. Whistling Tor is a place of secrets: a mysterious, wooded hill housing the crumbling fortress belonging to Anluan - a chieftain whose name is spoken throughout the region in tones of revulsion and bitterness. A curse lies over Anluan's family and his people, and the woods themselves hold a perilous force whose every whisper threatens doom. Then the young scribe Caitrin appears in Anluan's garden, admiring the rare plant known as heart's blood. 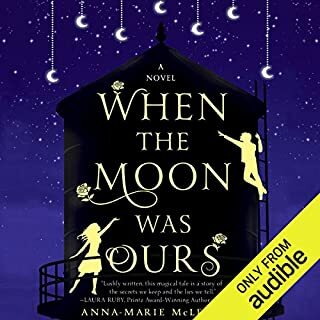 Retained to sort through entangled family documents, Caitrin brings about unexpected changes in the household, casting a hopeful light against the despairing shadows. The narrator didn't sound whiny to me, but I did slow down the reading speed because it seemed very fast. After I did that, I had no problems with it. I've never had to do that before. Story wise, I really enjoyed it. Villian was a little obvious, but I loved the story idea so much it didn't matter. The author always does a good job with strong female leads that don't need to tear down men to raise themselves up. This is no exception. They're realistic people facing fantastical problems. Another great story by ine of my favorite authors. 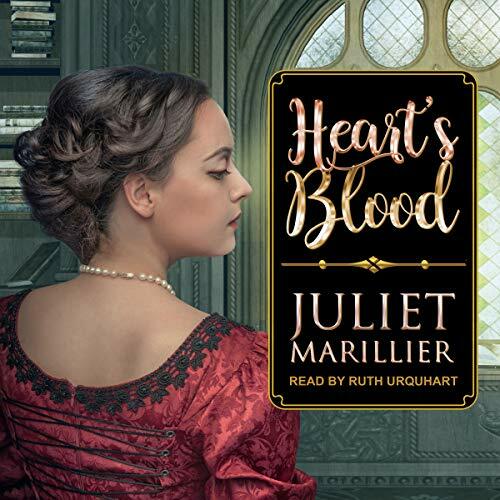 Juliiet Marillier has a way of taking the extraordinary and making it perfectly believable. I love her books. I have them all so far. Please don't stop writing!! 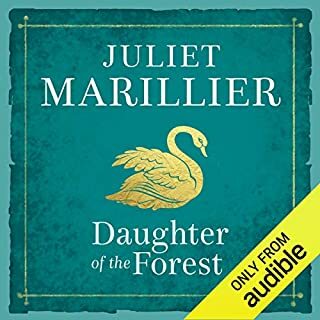 I love Juliet Marillier's other books so I was so excited to listen to one I haven't read before. 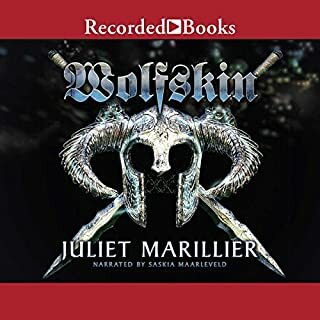 Unfortunately, I couldn't listen to the narrator for the whole book and I ended up reading the rest on my kindle. 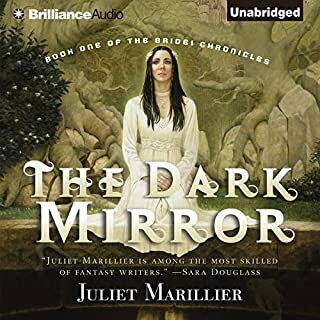 The main character can be negative and almost whiny at times, but the narrator was almost always whiny, except for voices of other characters.The book itself was difficult to get into, but the narration didn't help. 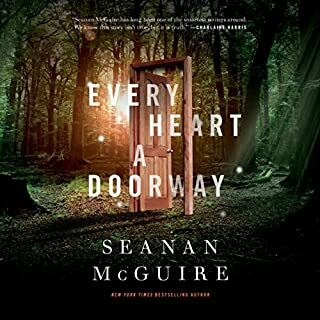 It got hard to put down towards the end, but a slow start mixed with a narrator I don't love could've led to me giving up if I didn't already love the author. I have read every book from this author and she doesn't disappoint! Though it's no as magical as my personal favorites you still fall in love with the characters and their growth. This story is so full of life and love. It touches my heart and memories of my wonderful Irish mother. I had to listen to it twice to enjoy each word. Truly a classic.